The number one thing I always explain to my clients is the role of the mortgage broker and difference between brokers and bankers. The old conception that the mortgage broker is just a middle man in the process is outdated. In today’s mortgage environment most everyone is a middle man of some sorts. Let me explain. Ever since the mortgage implosion, the private mortgage sector dried up completely. Banks, lenders and brokers alike originate mortgages with the intent to sell these loans down the road. As a mortgage broker, it’s done in full transparency. 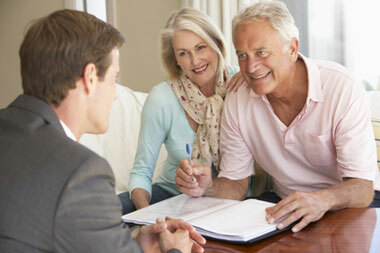 We broker the loan at the closing table and you know what investor/bank is doing your loan. That investor/bank then sells that loan down road once again. In years past there were multiple outlets for bank and lenders to sell these loan to, mostly through wall street investment vehicles. Well, Wall Street burned those bridges. The end buyers of these mortgages were usually pension funds , foreign countries and other large entities that could hold these mortgages for the long haul. The banks would simply originate the loan and sell it for a commission. But after these investments took a dip, no one was buying anymore. The only outlet remaining was our federal government. The 2 largest buyers of mortgage today still remain, Fannie Mae and Freddie Mac. Also, through the department of Housing Urban Development(HUD) was FHA. So here we are in 2013 and the banks and lenders alike, will only make mortgages that the government is willing to buy. If Fannie Mae is not buying that loan, the bank is not making it. Back to make original statement, that everyone in today’s mortgage market is a broker. If you get a loan from Chase, Wells Fargo or Bank of America they are selling your mortgage to the government for a commission, lets call it a broker fee. The fee is there and exists, you just never see it. This is where most consumers get confused. They say “I make my payment to Chase, how do they not own my loan?”. The bank gets paid more money from the government for performing this service, know as “Servicing”. They originate the mortgage, sell it for a commission and then get paid servicing fees to perform all the customer service work associated with your loan, I.E. collecting payments, handling escrows and all customer service. Do they own your mortgage? NO! Did they lend you their money, not really, only for short time it took them to sell your mortgage and recoup the money the lent you. Do they want to go out on a ledge and do a mortgage for you that Fannie Mae won’t buy? NO! So in the end, if the investor is not buying, they are not lending. We as the mortgage brokers perform the same service as the bank. The only difference is we disclose our commission. When I the mortgage broker, broker your loan to ABC lender they pay me a commission known as YSP, Yield Spread Premium. I disclose it to you on the application and once again at closing. Who pays me? The lender. When the bank originates your loan and sells it to Fannie Mae, they also make a commission. However, their commission is know as SRP, Service Release Premium. Thanks to lobbyists and DC insiders, they don’t have to disclose this commission to consumers, employees or anyone. So when bankers try to tell you that ” We are the bank, why use a broker when you can come directly to us” don’t believe the hype. Their commissions are often 3 times what the mortgage broker make resulting in a higher rate than what we could offer as the wholesale broker. Don’t be afraid to shop for a mortgage. Don’t be afraid of your local mortgage broker . They probably have better knowledge, service and interest rates than the big banks. You are just brainwashed by these large corporate entities to believe they are the best options. Marketing dollars equal trust, earned or not earned. For people seeking to purchase a home throughout New York & Pennsylvania, there are varieties of loan solutions. No matter if you are searching for a VA mortgage loan or interested in refinancing an FHA loan, Artisan Mortgage can assist you obtain the best mortgage loan rate.